The saying goes: “choose a job you love, and you will never have to work a day in your life”, but the 26-year old Col’Cacchio love story is a much greater romantic affair than that. 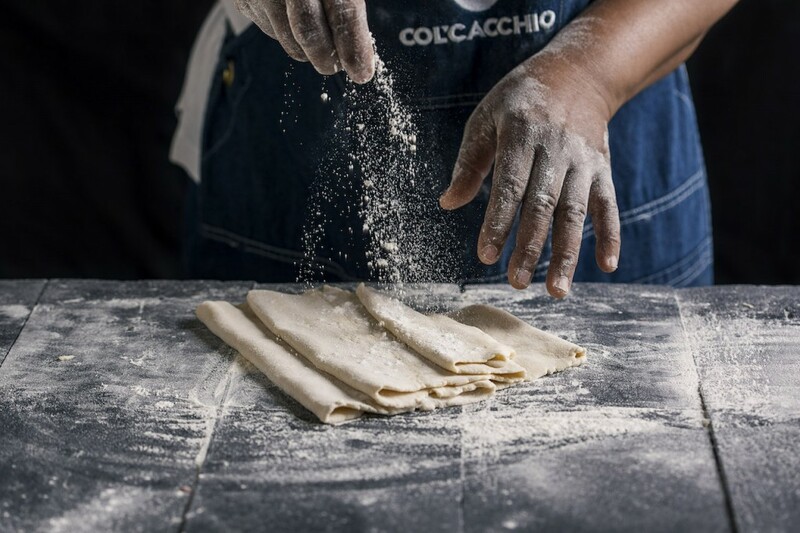 Kinga Baranowska, the brain behind the Col’Cacchio (pronounced Kolcakio) menu, admits that her love for food has tied her to places and people, kept her breathing through tough times, and has provided a creative outlet for when she is working long hours. “Food and cooking have saved me in so many ways, and taught me so much,” she says. Her passion was moulded by working in her grandmother’s ice-cream shop in Poland as a child and enjoying her Polish mother’s wholesome traditional cooking while growing up in Europe, Australia, and finally South Africa. “One of the things I’m proudest of is how popular my creations have become,” she says. It was while working at an Italian restaurant in Johannesburg back in 1991 that Kinga cultivated her dream of opening her own eatery. “I was going to open a restaurant in Miami,” she says, “as my best friend just moved there”. When regular patron Michael Terespolsky suggested a similar, yet joint venture in Cape Town, Kinga’s dream quickly became a reality, albeit literally in a different direction. “The next thing I knew we were building a pizzeria on the Foreshore. Pizza is what I knew, and there was no such gourmet offering available in Cape Town at the time,” she says. Michael and Kinga opened their doors a year later on her 21st birthday. It was a dream come true, and the birth of a bond that evolved into a partnership that stretched way beyond the walls of the business. The duo’s personalities and skills were so well suited and complementary that working together added not only richness to the relationship but romance as well. The starry-eyed entrepreneurs were married not long after they realised their mutual appreciation for gourmet dining. “Working together provides spouses with an opportunity to see their significant other do something they’re good at and passionate about,” says Kinga’s husband and CEO of Col’Cacchio Michael Terespolsky. “We saw each other through the trenches, and had to support each through the best and toughest times. At the very beginning, we had to be the policymakers, the cooks, the staff trainers and the waiters. We had to learn on our feet,” he says. It would be 12 years before Michael and Kinga would start franchising, and by that time, the power couple knew exactly what they we were doing. Forward a quarter of century, Michael and Kinga, along with partner Greg Mommsen, have grown Col’Cacchio into a household franchise family across Southern Africa. Greg (with his wife Roz) opened the first franchised Col’Cacchio store in Bryanston. Similar to their Capetonian counterparts they had to manage the staff, cook the food, and often double as waiters to save up their tips and keep the place going. Indeed, couples who go into business together must do so with care. Money, at least in the beginning, is often very tight. “It was really hard in the beginning. We just had to save money wherever we could to make sure it wasn’t a failure,” he says. “But it was through the love and support of my family and friends that made me see it all through.” says Greg. Michael and Greg were friends prior to their joint venture and both hail from Johannesburg. Not only did Greg go work the shop floor in the Foreshore for a couple of weeks to learn the ropes from the flagship restaurant, but both Michael and Kinga came up to Johannesburg for a while to help with the design of the first spin-off and with the training staff. His wife put her studies in psychologyon hold to be her at her husband’s side through the teething process. “We were all in it together, and we couldn’t afford to fail,” he says. Both Michael and Greg decided to get involved in the restaurant business out of the blue, but it just seemed like the right thing to do and they were adamant about it and approached their significant others with the idea. Both men were running their own successful businesses in very different industries at the time – in office equipment and IT distribution respectively – but both were in need of a significant change. “We never once doubted that we would succeed. Never did the thought cross our minds that it might not work. When you love what you do and have fun every day, you’ll make it work no matter what. It is all about the mindset,” Greg says. “When someone starts the business of their dreams, it must have something core to the founders that makes them keep trying when times get difficult, which they always do,” he says. “So, you really need to know yourself and why you are doing this,” he adds. If you ask the directors what the right ingredient for a good restaurateur is, they all agree that one needs staying power. “Not only do you have to be hardworking, you’ve got to be able to take the flak from the customers, suppliers and landlords. You can’t be a quitter,” says Michael. “We’ve had some amazing years in this restaurant business. We’ve loved every minute of it. It’s been 25 years – it doesn’t feel like it,” adds Kinga. As directors of the company, the trio have to spend some of their time behind a desk, but still remain very hands on in running their own pizza ovens. “If you ask them what they love most? It’s still this: being in the store, and engaging with the people that enjoy their food and the dining experience,” say the three directors. This particular love story has a happy ending. Previous: Diarise the dates for Decorex Cape Town 2019! Durban North [10h Feb 2019] – Showtime Events? Presents “Love is in the Air” on 13th, 14th & 15th February for its guests. Are you looking to celebrate this Valentine in a special and memorable way? You should look no further because Showtime Events? Presents “Love is in the Air” on 13th, 14th & 15th February. This time, they are encouraging people to come forward and enjoy their days in a more fun manner, yes, – this time Performing Waiters in Love Is In The Air This Valentine’s. 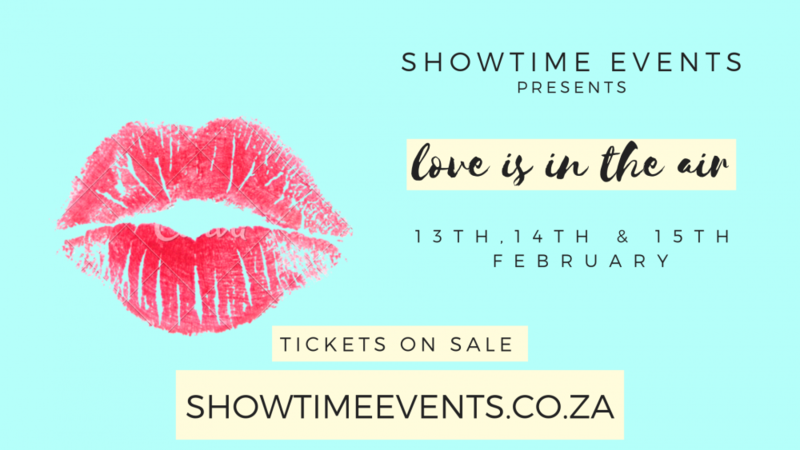 As well know that Valentine’s Day is a day spent showering your loved one in kisses, love, blessings as well as affection, but trust Showtime’s Performing Waitrons in order to make your special day, even that much more special, memorable as well as unforgettable. All you need to do is to join the Showtime Family of comedians, singers as well as musicians for a romantic, fun-filled, night. Guests can enjoy and have more fun when they receive good-food, great-company, lots of laughing & dancing and a wide range of voices like you have never heard before! You can adore your special person or book a table for a group and enjoy a romantic evening filled with fun, and If you love dancing, then you will love and appreciate this amazing and dazzling event, as they welcome all guest to join artist on the dance-floor whenever they want & if they want! Each event they host is unique, and for this event they are excited to not only have an incredible line up of over 10 local artists who have performed on stages like, Idols SA, SA’s Got Talent, International Theatres & Local Theatres, but to also have thought of a lot of the smaller details that we feel event organisers often forget. 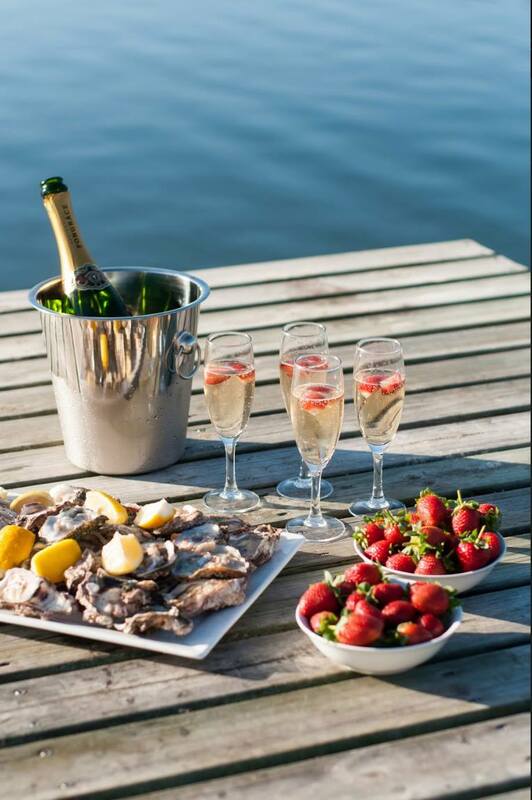 Their bar will not only stock the essentials, but will also have a vast collection of exotic Champagne, Wine, Gin & Cocktails on offer so that guests can enjoy in a non-stop manner. They have cash, card & Zapper payment facilities in order to provide complete convenience to guests. They also have Insta Photo’s on sale, Sweet Treats, Clothing, and much more on offer. Any special requests can be made via the contact us form. For more information about deserts, address, tickets, arrangements, event details, etc. please visit – https://www.facebook.com/events/358782698306345 or https://showtimeevents.co.za/events/list/. Previous: Can a mattress change your health for the better? 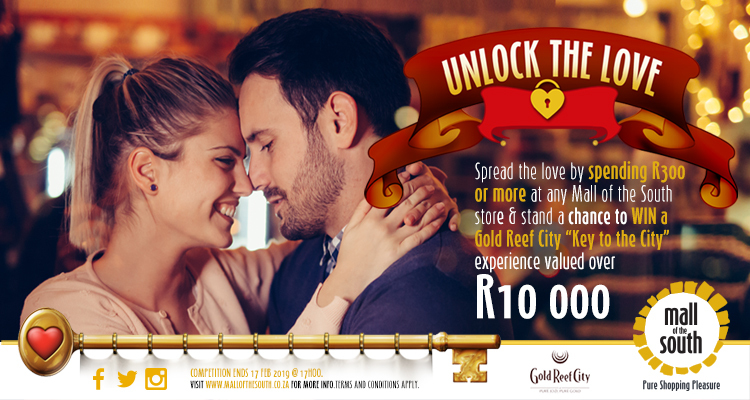 Unlock the love this Valentine’s day with Mall of the South and Gold Reef City. Spread the love by spending R300.00 or more at any Mall of the South store and stand a chance to win a Gold Reef City “Key to the City” experience valued over R10, 000.00; including: two Theme Park tickets, two nights Hotel stay for two, two Ten Pin Bowling tickets, two movies@ tickets, two R1000 meal vouchers and a R2 500.00 Gold Reef City gift card. To experience the “Key to the City”, simply complete an entry form (available in-stores and on the website), attach your till slip and insert your entry into the entry boxes that will be located in strategic points within the mall as well as at Centre Management. Don’t miss out! Enter now as entries close on Sunday, the 17th of February 2019 at 17h00. Terms and conditions apply.